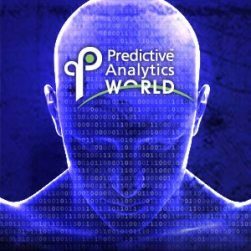 This year Predictive Analytics World is coming to Las Vegas June 3-7, 2018, for the largest Predictive Analytics World event ever. There’s a packed agenda including a great Analytics operationalization and management track focused on how to take analytics (and AI) and get real business value from them. The track kicks of with James Taylor, Decision Management Solutions CEO, giving a session on Delivering the Business Value of Analytics and he’s followed by Northwestern Mutual on overcoming obstacles and Quicken Loans on closing the communication gap. On the second day there’s a panel on Operationalizing Machine Learning: How to Ensure Value-Driven Deployment as well as sessions on recruiting, training and managing your data science practice – including one from our friends at Cisco – as well as discussions of analytic maturity -including one by Bill Franks, Chief Analytics Officer of the International Institute for Analytics. If you are interested in how to integrate analytics and data science into your business and IT architecture there is a lot here for you. As always, if you are interested in the details of data science, machine learning and advanced analytics there’s plenty for you too. Register here and use the code SPEAKERtaylor to get a 20% discount.